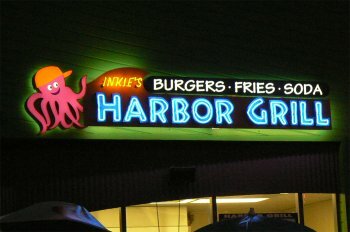 Lighted signs are a businesses calling card during any time, day or night. While we can never match the bright lights of Las Vegas here in Denver (nor would we want to! ), we can always find new ways to attract the consumer's eye while helping you look professional. LED signs, and 3D dimensional signs achieve that. We can use a vast array of plastics, metals and hard foams to create that perfect calling card for your business. 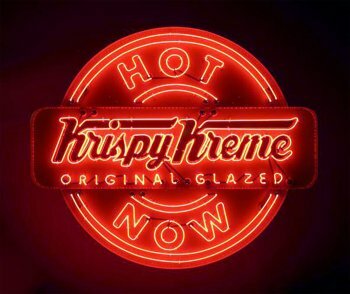 LED signs use a new technology which stands for "Light Emitting Diode" which has nearly replaced the neon lighting industry due to its longevity and ultimately lower cost to maintain. While we can still provide neon lighting for those that request it, the push is for a lighting solution that does not break and is easily replaced. Each diode on the inside or back or your letters can be replaced individually. This is big news for our clients because previously if one neon tube went out or broke the whole system would have to be replaced. Now it's about as easy as changing a light bulb and is a much better option for today's busy business owner. Some owners do want the nostalgic look of florescent lighting. While many suppliers do not offer this service any more we will offer this service and design something that you love. We have the capability of "aging" a sign with sanding and heating so it looks like it belongs in the era you're trying to represent. We will use a combination of modern technology and hands-on artistic talent to provide you with the perfect look for your new sign, even if you want your new sign....to look old!